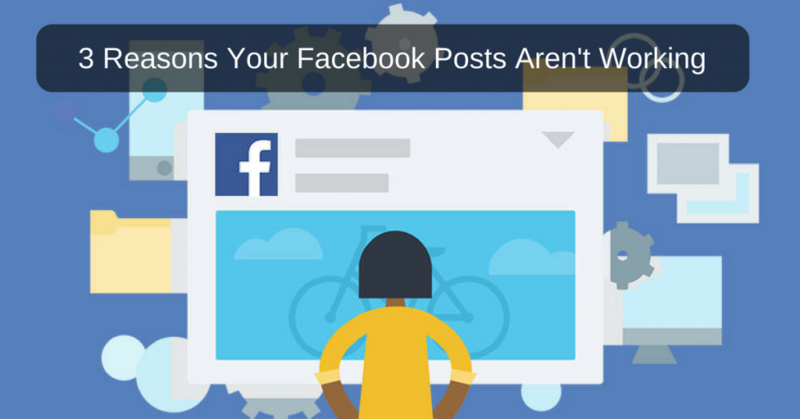 3 Reasons Your Facebook Posts Aren't Working - And How To Fix Them! Three reasons your Facebook posts aren’t working – and how to make them hit the spot, every time! Recently a lot of people have been asking me how to improve their Facebook page performance. They’ve been having problems getting engagement on their posts (likes, comments, image clicks and shares), along with not being able to drive much traffic to their sites. So I thought it would be best to put together this post on the three main reasons your Facebook posts aren’t working, and how to hit a home run, each and everytine you post to Facebook. Not enough fans – one of the main reasons people struggle to gain traction on their Facebook posts is due to their lack of fans. Now I’m not talking about having less than 50,000, more like less than 5,000. What most people don’t understand is that Facebook has an algorithm in place which restricts what people see in their news feed. This is to prevent news-feeds being inundated with posts, and therefore people having no attention span on the platform (just like twitter). On average around 1-5% of your Facebook page fans will see your posts so you can imagine that if it’s under 5,000 fans, only 50-250 people will see each of you posts (not a great deal). However, what I’d like to urge you not to do is JUST focus on the number of fans you have but on the quality of those fans. If you have 5,000 active buyers thats far more beneficial than having 20,000 uninterested fans. However, the sweet spot would be to have 50,000 active buyers. Below are several ways you can improve your low reach to your current fans and gain new ones! Post to groups – By researching your audience and understanding their interests, problems, and desires you can work out what Facebook groups they are likely to be members of. Once you locate these groups you can look at what content they post, questions they ask, and common problems they need help with. Then you can begin crafting posts around these topics. 1) Your organic reseach will increase as you will be sharing this with groups that have hundreds if, not thousands, of members. 2) The engagement of your posts will increase substantially due to having more eye balls on your posts, and it is aimed directly at the group members. 3) You will begin to gain more followers to your page. This won’t be in the hundreds or thousands, but you will see a nice steady stream of fans begin to accumulate off the back of this. Boost posts – I know what you are going to say, “I know I can boost posts that’s easy, just click the boost button and throw £10-20 behind it”. And you’re right, you can do that, or you can be more strategic about it. By just boosting you are just ensuring more of your current fans see the post, another way of using the boost feature is to target people that are in your ideal audience but don’t already like your page. This way you will gain, not only more reach and engagement but also new fans. These new fans will then also be on the lookout for a new post from you, and providing they are good, will like, comment or share them, helping you further grow your Facebook page. Collab with other pages – Another great way to gain exposure is to work with other pages. Find other pages that are in a sympathetic space to yours, and look at providing them with posts, giveaways, videos etc. For example, staying with the kids clothing company, you could look to collaborate with a children’s recipe page and supply them with content on how to remove tough stains from their children’s clothing. This topic links both the recipe page and your page and is useful to their audiences. You could supply them with one Facebook post per week and after you have done say 6-8 posts you could run a giveaway on their page for a kid’s outfit. If you can do this with around 5-10 pages on a regular basis (weekly/monthly), this will help you leverage their fan base to build yours at a far faster rate than doing it on your own. 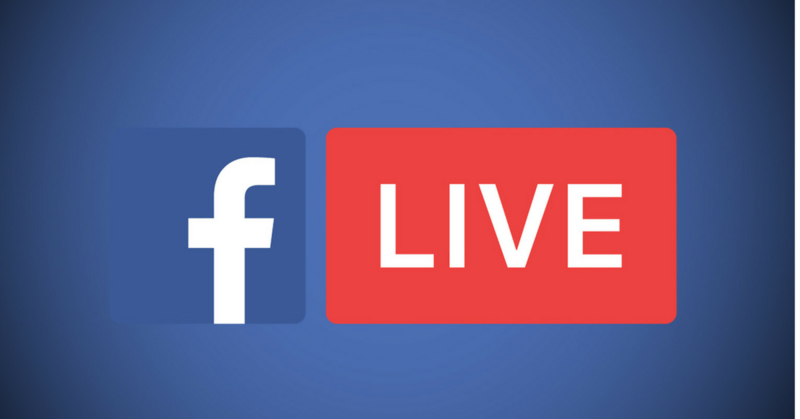 Go live – Going live on Facebook is great. 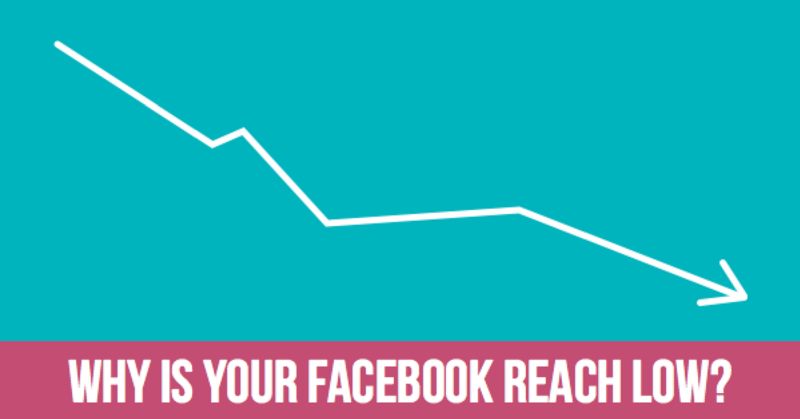 Currently, it helps you avoid the 3-5% reach issue you have when you natively post on Facebook. This is done by Facebook notifying each of your followers when you are live. This notification is great as people will get a notification sound and alert icon on their phones if they have the Facebook app installed, which nearly everyone does! A lot of people begin to worry when I talk about going live and think they need to be able to be a broadcasting legend and have all the technology to back it up. When in fact, all you need is your smart phone or laptop, decent light source, and you good to go. in regards to the length, initially i’d keep them to around 3-5 minutes long, and as you get more comfortable, you can extend them. If you have in-depth blog posts like this one you could even chop it up in to sections a create a live cast on each one, which is something we may do with this post, so watch this space! Posting at the right time – This is probably one of the most over looked areas of marketing on Facebook, but one of the most crucial, especially when you have a small number of fans. Making sure your posts are going out when your fans are online, giving you a far better chance of getting better reach and therefore more engagement, which will lead to even further reach and so on and so forth. Within the insights tab of your Facebook page, you have the option to click on ‘Posts’ this reveals when most of your fans are on-line you can then create your posts and pre-schedule them to post at these peak times! This will ensure that your posts are going out when the maximum number of your fans are online. Competitor research – This is a very simple way to see what is working and not working with your target audience, and even how often you should post. Find 5-10 competitor Facebook pages, and complete a simple audit using the table below. To complete the table below visit each profile and fill in the first two columns. With the avg. Posts per day, look at the last 14 days and take an average. With the average engagement column, look at the last 10-15 posts and add up the engagement on each one (Reactions, comments and shares). Once you’ve done that for the previous 10 posts divide the total number of engagement by a number of posts you’ve done this on, and this will give you a rough guide on how much engagement each page gets per post. 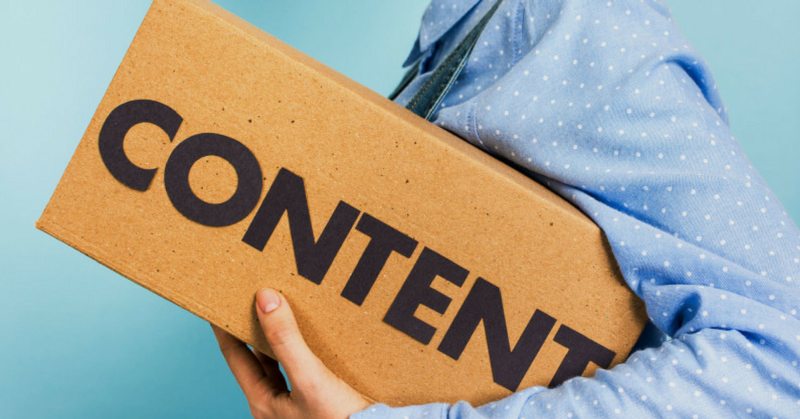 This will help you to work out which content works best and how often you should be posting. You can also expand this table to separate avg. Comments, likes, and shares. Average engagement formula: total engagement / number of posts counted = average engagement per post. Example – 257 / 15 = 17.1 engagements per post. One of the common misconceptions around social media is that every piece of content you publish needs to be your own, this, in fact, is untrue. 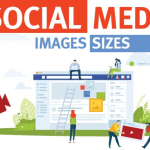 A great way to improve the reach of your social posts is to share popular content from other sites. You can use tools like Buzzsumo to find out what content has been shared the most, then share that or similar content on your page. Group research – One of the most underutilised resources within Facebook is their groups. A simple way to increase your posts reach is to find several groups where your potential customers “hang out”, such as mum groups if you sell children’s furniture, toys, books etc.Once you’ve found several groups, see what content does well such as memes, ‘how to…’ posts, etc. Then begin creating similar posts on your Facebook page, then share them within these groups. You will notice a significant increase in reach and interaction and, as a Brucey bonus, a trickle of new page followers. Content Format (video, product, images etc.) 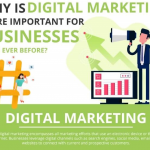 – The format of your content can play a huge role in the reach of your posts, and the reason for this is your fans may engage with one form of content better than another. For instance, they may prefer video posts over link posts. Therefore they will be more inclined to like share and comment on these posts; this will increase the reach of your posts. Calls to action – A very simple way to get more engagement on your posts, and in turn more reach, is to simply ask for it. Be tactful in how you do this, for instance, if you have a new product range, create a few posts about these new products, post them and include a sentence like “Take a look at our new range of products, what do you think, is the color or style for you?” Or even something as simple as “Which of these new products is your favorite?”. This encourages people to leave comments, and you will more than likely see people tagging friends and family into the post so they can see it too! Explain what they will get when they get there – With Facebook clamping down on fake news and click bait articles (articles that have catchy headlines but nothing to do with the web page they take you to), a good tactic if you post a lot of blog post on your Facebook page is to explain what the user will get once they click the link. For example, “In this article, Darren Graham, our head Social Media, will walk you through 3 of the biggest reasons why your Facebook posts just aren’t getting the reach they should. He’ll also explain what you can do to rectify this, and have each post hit the spot every time. Too much or too little. 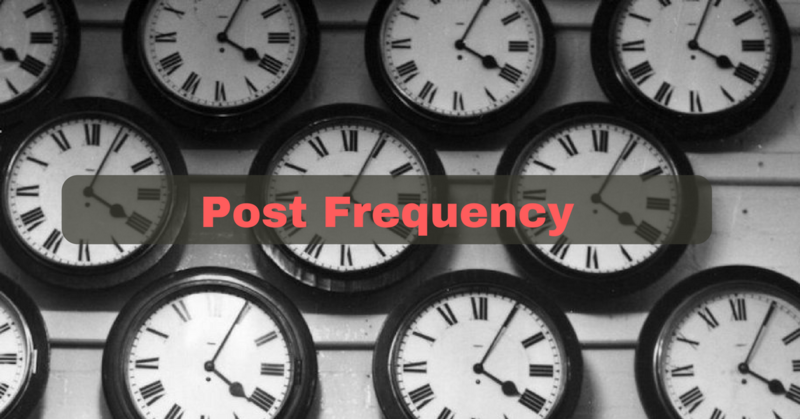 The number of times you post per day will affect the way your audience sees and engages with your posts. Too much and you’ll get a lot of negative feedback, too little and you won’t get enough engagement to stay in your follower’s news feeds. The above competitor research can help you work out a good starting frequency. However, that’s just that a starting point. Below are some of the things you can look at to see if you are overdoing it or need to crank it up! Getting unliked – If you noticed that you’re getting quite a few unlikes, then it’s a good sign that you’re either posting too frequently or the content you’re creating isn’t resonating with your audience. Hidden posts – If you’ve seen that people are hiding your posts, again it’s a good bet that your post frequency is too high or your content quality is low. And there you have it, folks, the three main reasons your Facebook posts may be losing or not even gaining any reach. I hope you found the article useful. We always welcome feedback so please leave your questions in the comments section.